Lukács László is the front singer and bass player of the 1989 formed, Hungarian hard rock band Tankcsapda. Tankcsapda is one oft he most popular and influential hard rock bands in Hungary and fills up arenas all over the country. The band adds elements of heavy metal, thrash and modern rock into their mix. With the release of their fourth album "Az Ember Tervez" (Man Proposes) in 1995 the band achieved their first gold record and more success stories followed since then. 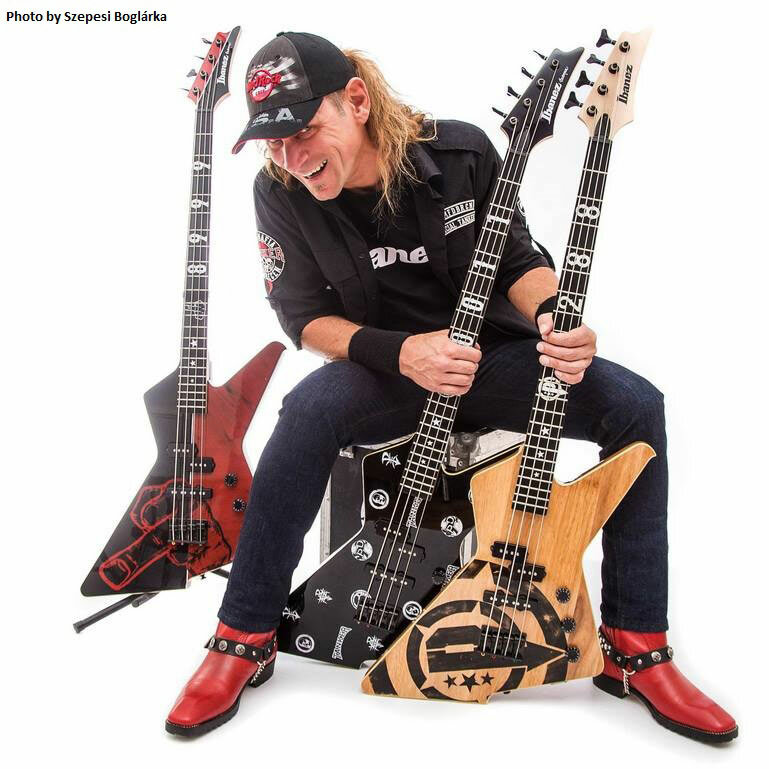 He rocks the stages all over the world with his 3 customized Ibanez Destroyer basses.